LEGO Lord of the Rings is doing a number of things to really differentiate itself from prior LEGO titles. The biggest change is that this one provides a more seamless, open world design to the exploration, akin to that of Skyrim. The hub world is in the Hobbit village, set during Bilbo's birthday party. From here you'll go down any number of paths to other areas from the movies, and even find new things taken from the books that didn't make it into the films. And you're not going through some magical door like in the LEGO Star Wars games. You're actually going down through pathways and exploring the world to get to where you need to go. Each area has a distinct mood, from the pure happiness of the Hobbit village, to the rain of fire in Sauron's land. You'll be able to find a ton of puzzles, sidequests, items, and more simply by exploring the world. What really struck me about LEGO LotR was just how much detail each set piece has. Sure, there are LEGO items scattered all over, but the overall design just had a nice realistic feel at the same time. The team has put in 1.6 billion polygons just into the landscape alone, and it really shows. There will also be a quick travel option to get to other locations, which is great considering the scale of everything. After doing some exploration, we were taken to the castle siege scene from The Two Towers. The dialogue from the movies is all in the game, and while the cinematics are inline with the films, there are some goofy bits thrown in for fun. Remember when the archer kills the first orc before the castle gets attacked? 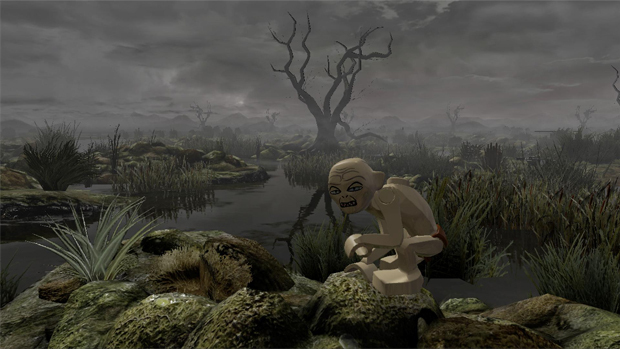 In LEGO LotR, one of his friends starts to cry over his death. Aragorn, Legolas, and Gimli then become playable, and the player has to use each of their special abilities to prevent the invaders from climbing over the castle wall by knocking down their ladders. It seems like each LEGO title just adds more gameplay features than the last, and LEGO Lord of the Ring shines from all that the team is putting into the game. 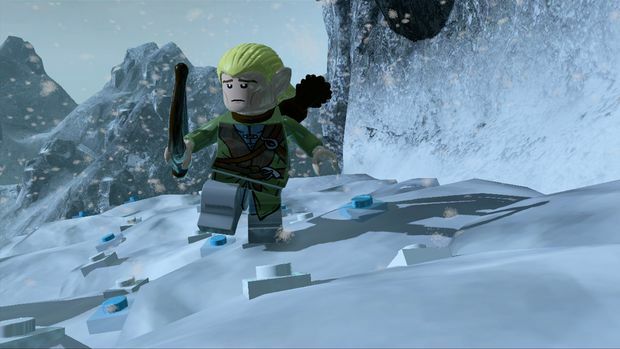 The game will easily appeal to both Lord of the Rings and LEGO fans alike, plus it's going to be a great way to introduce kids to the LotR universe.